Although Catholic blogs play an important role in catechesis and evangelization, I’m sure that every Catholic blogger has asked themselves at least once why they do it. 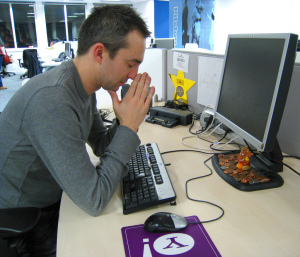 Is it really worth the time spent away from work, from family, from prayer? Is anybody listening? Does anybody care? One of my friends recently shut down his personal blog altogether, saying “While I have a lot of respect for many bloggers, I feel the blogosphere to be a net negative to the Catholic Faith. … It is the epitome of Francis’ ‘self-referential Church.’ Far from leading to a deepening of the faith, it has led to a corrosion of it.” Could this be true? My friend’s words certainly don’t describe the work of Catholic bloggers I work with. But I’ve seen the corner of the Catholic blogosphere he describes — the place where people attack one another viciously over minute points of doctrine or liturgical practices that baffle non-Catholics and fail to bring anyone to a holier and more peaceful frame of mind. I regularly engage in verbal fisticuffs with Catholics on LinkedIn who insist that if the majority of lay Catholics reject the Church’s doctrine on artificial birth control, then the lay Catholics must be right and the Popes must be wrong. I have to ask myself if I’m really helping when I enter the fray. And my answer has to be yes. Every blogger, like every Christian, is a witness to the strength of God’s love alive in the world. Every one of us has a story of struggles, joys, heartaches, and glimmers of the salvation that awaits us. We follow Christ for deeply personal reasons that uniquely showcase the majesty of God’s creation and the depths of his mercy. As the beloved disciple John said in writing his Gospel, “there are also many other things that Jesus did; if every one of them were written down, I suppose that the world itself could not contain the books that would be written.” When we bloggers share the difference that Jesus has made in our lives, we are drawing on an infinite store of spiritual power and wisdom that could more than fill all the books in the world. When we blog from a place of prayer and compassion, keeping the ultimate goal of salavation of souls in mind, we are fulfilling our Baptismal mission to spread the Good News. We don’t, or shouldn’t, blog to show that we’re better Catholics than anyone else. Our blog should not be a trophy case displaying our own intelligence or faithfulness, because in our heart of hearts we know that we’ve all done stupid and faithless things. Our blog should feature installments in the story of our on-going love affair with God. Because no matter how mixed our motivations, if we weren’t in love with God we wouldn’t be blogging or commenting or arguing online in the first place. Some readers have called me arrogant and judgmental, and I have to accept those accusations as true since my husband and my spiritual director have echoed them on occasion. But those accusations need to lead me to greater warmth, greater compassion, and greater understanding. They can’t sink me into self-doubt and despair. The solution for me and maybe for many of us is to give more, not to give up. Even from within a prison of our own inadequacies and sinfulness, we can still preach the Word of God. St. Paul shows us how to continue our work of evangelization no matter what the shape or size of our prison. While St. Paul was in house arrest in Rome, he welcomed all who came to him and boldly taught them about Jesus Christ (Acts 28: 16-31). Under this same incarceration, he also wrote the great prison epistles of Ephesians, Philippians, and Colossians — back when people wrote in ink rather than in bits and bytes. So, following the great missionary example of St. Paul, I will continue to pray, to write, and to share with others my love of God even from behind my own internal and often invisible prison walls. Webinars are an increasingly popular tool for spreading the word about a company or product. But are they the right tool for spreading the Word of God? They certainly can be. The key is to turn a webinar into an online retreat by creating a spiritual atmosphere that reminds people that where two or three are gathered together in Christ’s name, he is there in the midst of them. A webinar, for those who don’t already know, is a seminar or workshop offered via the computer. People can attend live, in real-time, or they can watch the recorded session later at their convenience. Presenters need web-conferencing software and a webcam, but participants don’t need any specialist equipment — only a computer and a high-speed Internet connection. no need to provide refreshments! In using a webinar for religious education, we need to keep the focus on Jesus. Otherwise, it can be a distant, clinical, and downright boring experience. So, without further ado, my top three tips for turning a webinar into an online retreat. 1. Start and end with a prayer. An in-person retreat usually offers time for meditation and personal prayer to consider deeply the topic of the retreat and to ask what action God might be calling us to take. An online retreat can offer the same. After each PowerPoint presentation in my online retreat, participants were invited to take ten or fifteen minutes to think and pray about the questions for discussion and type their answers into chatboxes online. During the meditation period, we piped in Gregorian chant from youtube. You can find many great clips of sacred music on Youtube. Some clips, like the one below, last for an hour or more, so you don’t have to worry about splicing more than one clip together. So, go ahead and consider incorporating webinars into your ministry, if you haven’t already. This amazing technology is a great tool to advance the New Evangelization and spread the Gospel to the four corners of the earth. And if you use this technology already, we’d love to hear about it in the comments. I was recently contacted by Dan Gonzalez and asked to check out his new iPad app, Mass Explained. As someone who loves both the Church and technology, I was so happy he did! I have gone through a dozen or more “apps” in the last couple of years which focus on Catholicism. As of today, I may only use three or four of them. As for the others, I got rid of them because I found the application either lacked intuitiveness or the depth of material was just not sufficient. It is critical, from a technology standpoint, for an application to have a good “flow;” it must make sense when the user is interacting with it. If a user has to “hunt and peck” to find what they are looking for, then they’ll quickly become frustrated or lose interest. With the number of apps available today, a user will not waste time navigating a cumbersome product; they will just simply delete it and move on to the next one. As someone who has spent over two decades studying the Catholic faith, I have found “apps” lack the level of detail and scholarship I would like to see in a product. I have concluded most Catholic applications built for smartphones and/or tablets are for people only seeking information at the introductory level. Mass Explained for iPad hits a home run both in its easy functionality and for its scholarship! I can’t think of any other Catholic app which allows you to zoom in and out of pictures, spin 3-D objects, and view 360 degree panoramic images? Mass Explained allows the user to use buttons, drop down menus, or swiping gestures to navigate through the material. That type of flexibility, allowing the user to customize their experience, is a great feature! The use of pop up windows also allows the user to stay a page while “drilling down” to the information they want. From a scholarship perspective, Mass Explained, succeeds where others have failed! Hundreds of quotations and references to scripture, the Early Church Fathers, the Catechism, church councils, papal encyclicals and more! Mass Explained even has audio files, allowing users to hear prayers in Hebrew, Greek, Latin and English. This is great application for people looking to go beyond a basic understanding of the Mass. I could easily see RCIA catechists using Mass Explained to introduce the Mass to prospective Catholics. The current Mass Explained app is “Volume 1,” which looks at the Introductory Rites and the Liturgy of the Word. 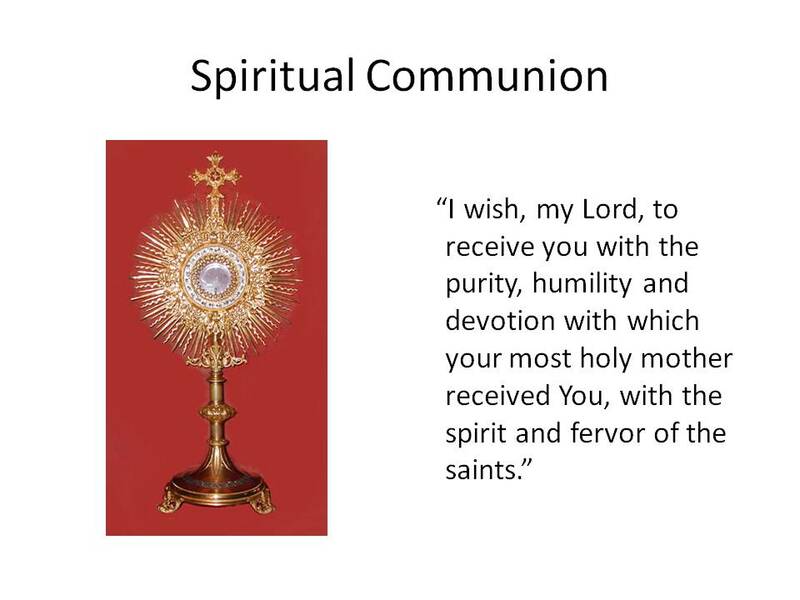 A planned “Volume 2” will cover the Liturgy of the Eucharist and the Concluding Rites. Congratulations to Dan on creating a beautiful, easy to use and informative product for Catholics and non-Catholics alike! I heartily recommend adding Mass Explained to your list of Catholic iPad Applications! This is a slightly modified version of a post under the same title which appeared on Christopher’s Apologies on 17 Feb 2014. Not every engaged couple has a traditional work schedule or even lives on the same continent before getting married, so in-person marriage preparation isn’t always possible. Enter the age of Skype, where videoconferencing technology can make engaged couples feel as if they are sitting in a pre-Cana teacher’s living room even when each person is actually thousands of miles away. Peter McFadden of Creative Marriages Inc. in New York City offers an online option for couples in difficult logistical situations. Through this program, Peter has taught actors on location in Australia and soldiers about to be deployed to Afghanistan. He has even given online marriage preparation to two Yosemite park rangers who were working almost round-the-clock hours far away from the nearest Catholic parish. “A park ranger’s not a 9 to 5 job,” Peter remarked. Neither are a lot of other careers, which is why it’s good to have an online option available. The online sessions are more than just videoconferences with three people speaking face to face via computer screens. 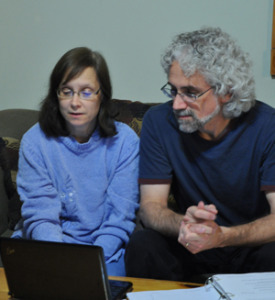 Peter’s system allows him to share photographs, Power Point presentations, and even short videos on the couple’s computer screens during the session. To make sure the shortened program delivers the necessary practical and theological content, Peter asks the online students to do some work on their own beforehand. A few weeks in advance, couples fill out the FOCCUS questionnaire, which identifies areas of agreement or disagreement on issues like communication styles, parenting, and sexuality. Couples are also asked to read a few short essays summarizing talks that Peter gives in his small-group sessions. “99% of people do the homework,” Peter reported, and many also talk to each other about the FOCCUS questions and the readings before meeting him online. The main difference between the Creative Marriages online program and the in-person program is thus not the content but the method. “There’s more small talk when you meet in person,” explained Peter. “The Net does promote more of a ‘let’s get down to business’ atmosphere.” In addition, Peter has found it easier to mediate fights when he sees couples in person. “Believe it or not, some couples will fight” during marriage preparation instruction, and it’s easier to see the danger signals expressed in body language when the participants aren’t sitting in front of a video camera, he stated. Only about 10% of Peter’s students take advantage of the online option. Most of the other students meet in small groups at the Church of Our Saviour on Park Avenue in Manhattan, where my husband and I began teaching the pre-Cana curriculum we developed many years ago. Most people who ask to take online pre-Cana are already disconnected from the Church community, Marga noted. “They say they can’t make the time, but then many find out they can, and they love” taking pre-Cana in-person, she added. Catechists have to remember that they are teaching souls who ideally should be learning in community with an opportunity for confession “in a real church with a real tabernacle,” she stressed. For couples who do have a legitimate scheduling problem, not just reluctance to make the time, Marga will recommend them either to Peter or to CatholicMarriagePrep.com. Catholic Marriage Prep gives couples a series of worksheets to download and complete, then instructors review the worksheets and offer personalized instruction and advice. Peter echoes the Archdiocese’s preference for in-person rather than online pre-Cana programs. “I understand why people would be concerned about online education. There’s a right way to do it, and there’s a wrong way to do it,” noted Peter. Some types of online education have little or no real interaction with the students, and there’s a danger that students will take the program without paying full attention. An automated program with a pre-recorded voice and computer-generated alerts and quizzes would not fully implement the Church’s goal to prepare couples for the sacred and sacramental aspects of marriage, he cautioned. Peter’s video-conferencing style of online pre-Cana instruction is full of personal interaction, but it only reaches one couple at a time. “The problem is that it’s not scalable, it’s not a solution for reaching out to 100,000 couples a year,” Peter explained. But if your focus is forming souls and not increasing the bottom line, maximizing personal interaction is the only way to go, online or off. 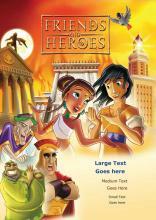 I’m grateful to have received a review copy of episodes 1 & 2 of the Friends and Heroes adventure and Bible story DVD’s. These are a fun series that my own children have enjoyed. While this is not a religious education curriculum in itself, it does provide a supplement that may be a fit for your parish, or for use at home with your own family. What it is: This cartoon series is set in Alexandria, Egypt, under Roman rule, at the time of the early Church – prior to the destruction of the Temple in Jerusalem. Through their adventures, the friends (Christian and pagan children) learn more about what it means to be a Christian. In each episode, at some point one of the characters tells a Bible story; there is a clear break in the animation for the Bible story sequence, which is told in computer-generated animation rather than traditional drawn-cartoon style, so that the contrast between fiction and fact is clear. Something I like: The convergence of cultures. Most students will study history by learning about Egypt, Greece, Rome, and “Bible Times” as four distinct civilizations. This series is excellent for showing the overlap of the Mediterranean cultures. For this reason, even though I target this as “early elementary school”, I think the videos are worth watching for older elementary school students who have recently done their Ancient Civilizations unit. The character is Portia and she will be one of the lead characters for the rest of the series. Keep in mind, Portia is not a believer – as a matter of fact, her journey to faith is one of the themes running through all 39 episodes of the series. The different way she dresses as compared to Leah and Rachel (the other two girls) is actually a point for teaching about modesty in one of the homeschool unit studies. The creators of Friends and Heroes continually worked to find the proper balance between being historically accurate and being proper and appealing to children. This shows up in small things like the colors of the characters’ clothing (working class people like Macky and his family would not have been able to afford much in the way of brightly colored clothes, but children find the colors appealing) to Portia’s attire. Given the serious problem with immodesty today, I would strongly support following F&H’s lead, and use this as an opportunity to teach girls about dressing modestly, while also cultivating a charitable attitude towards their peers who are immersed in the dictates of the fashion industry. With the caveat that the parish needs to first deal seriously with setting standards for appropriate dress. Catholic versus “Mere Christianity”: This is a general-market series written for Christians of all denominations. Episodes 1 & 2 are set in everyday life, there are no scenes that show clergy or Christian worship. As a catechist you’ll want to include some basic teaching on Bible words like epískopos and presbýteros. Ideally, elementary-aged children should learn a few memory verses that show where to find the Sacraments in Scripture. Target Audience: Early Elementary School. In my group of test-children, the first-grader was absolutely fascinated by the program, and has chosen to watch it over and over again. The 3rd and 5th graders made varying amounts of noise about how they were too old for it, but both watched both episodes with total attention. The 7th grader could walk in and out of the room and not feel compelled to sit and watch the show. Boys or Girls? Both. The opening credits include an action-sequence montage designed to trick restless 6-year-old boys into sitting down and watching. There are strong male and female leads, and my test-group girls clearly enjoyed the show. The video segment of a half-day or all-day Vacation Bible School program. To entertain kids so parents can attend Bible study, RCIA, or that sacramental-prep meeting. For children of volunteers to watch during classroom prep sessions. To show during drop-off or pick-up time, if some students are dropped off early or picked up late. Because your young boys in the audience are going to immediately want to act-out their favorite scenes once the final credits start to roll, plan accordingly. If you can’t release them directly to the playground or gym, head off the re-enactment of the smashing-pottery scene by having your next activity ready to go, and make it engaging. Probably pretzel sticks are not the best snack for children who’ve just seen Roman soldiers with swords drawn. A note on pricing and licenses: When comparision shopping, I found that the DVD’s typically cost about $10 for a single-episode or $20 for a two-episode DVD. Pay attention when you purchase if the price seems lower than expected. For use in the classroom, the most cost-effective way to purchase the series is to buy the DVD Series Pack, which includes a lifetime public display license with purchase. The standard DVD series includes a Spanish track, as well as all these other languages as well. Your Turn: Have you used any off-the-shelf videos in your religious education program? Which ones do you like, and how do you use them? Making a connection. Telling a story. Being a witness. That’s what amazing catechists do. As translators of the truth they seek to give away what they possess because it was so freely passed onto them. Doing that through a podcast is a very low-cost, effective way of evangelizing and catechizing in the digital age. Over the last two years, several members of the Amazing Catechists’ team have been guests on my weekly podcast, Among Women. Created in Lent 2009, Among Women grew out of my years of ministry in local churches, and my special regard for women’s ministries. The Among Women podcast and blog celebrates the beauty and grace of a Catholic woman’s faith and life. It’s faith sharing, teaching, and some good old-fashioned girl talk rolled into one. Each podcast has two segments: “Blessed are They” looks back on inspirational women who are either saints, mystics, blesseds, or women from the Bible. The “Among Women” segment focuses on conversations with contemporary women on themes that are important to women. Among Women has over 125 episodes on a variety of topics. Its growth and success comes from social media contacts, and, of course, word of mouth. Why not share Among Women as a resource for the women in your life and parish? Welcome to NFP in the 21st century! We don’t have to leave our home to teach NFP and student couples can learn NFP in the comfort of their own homes. They can see and hear us on the audio and video. If students have questions, they use the chat function. For us, it’s been the answer to a prayer. Three years ago, after teaching NFP for 24 years, we were frustrated at the lack of interest in couples wanting to learn NFP. We felt fortunate to be teaching one or two couples a year. We had this enthusiasm to share our knowledge of NFP with others and wished there were more interested couples. In the past 27 years, we have traveled all over Ontario to teach NFP classes. The most recent was three years ago when three different couples all inquired about the possibility of learning the sympto-thermal method of NFP in the Greater Toronto area. For the first two classes, we agreed to meet at the halfway point (each of us traveling two and a half hours) and for the last class, James and I traveled down to Toronto to teach Class III. It was an expensive venture, but we didn’t want to miss the opportunity to teach NFP to enthusiastic and interested couples. However, I told James that I wish that we could teach NFP online. I didn’t have to wait long for my wish to come true. A few months later, we discovered that our NFP organization, the Couple to Couple League, was looking for teaching couples to pilot a new online NFP teaching course. We immediately said yes and have never looked back. Since then, we have taught more couples in the past two years than in the previous 15 years. The obvious advantage of online NFP classes is convenience. Most of the couples we’ve taught enjoy the convenience of not having to leave their homes and get a babysitter, although a few couples have missed the fellowship with other student couples. One obvious disadvantage is when the internet isn’t working properly. It’s also hard for us as NFP teachers to judge whether a particular student is grasping a certain point because we can’t see facial expressions. In a large group, it’s necessary to test the couples frequently to make sure they’re understanding. And…it’s not unusual at least once during each class for some sort of technical malfunction to happen. For the most part, however, it’s been a joy to teach NFP to so many couples, couples who may not have been able to learn otherwise. Natural Family Planning is safe, effective and morally acceptable. Learning NFP has never been easier or more convenient. Materials and course fee are required to take the class. If you have any questions, concerns or comments, please feel free to email us at info@fullquiverpublishing.com or leave a comment below. Brandon Vogt’s got everybody talking about how new media can serve as a tool for evangelization, catechesis, and inspiration. His book, The Church and the New Media, is a conversation featuring the voices of various online personalities who bring diverse perspectives to the discussion of how the rapid changes in media and technology provide a golden opportunity for the Church. The authors who have contributed to the book discuss the impact of new media on the individual, the parish, the diocesan, and even a global level, with a wealth of practical recommendations and suggestions for online resources included in each chapter. The book starts with a discussion of Catholic blogging and the various forms it may take. 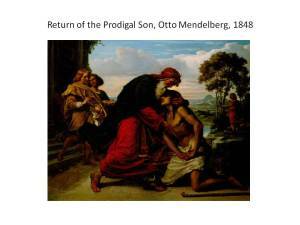 We may associate faith-based blogging with apologetics, but Fr. Dwight Longenecker argues, “I am not convinced that many souls are won by argument…the apologetics on my blog are woven into a much bigger picture of Catholicism. I want the reader to glimpse the power and the glory of the Catholic Church, but I also want them to glimpse the humanity and humor of being Catholic.” Jennifer Fulwiler echoes this idea in the story of her conversion when she writes, “What impacted me the most…was simply getting a glimpse into Catholic life.” These and other stories in the book point to the need for us to remember that the Internet is an open community where anyone may drop by. Honesty, grace, and charity should prevail in online interactions – and you can never know who might be reading without ever leaving a comment. Later chapters include a very thorough discussion by Matthew Warner on the role of new media in the parish – this chapter alone is worth the price of the book, as it’s perfect preparation for a parish council meeting to discuss the need for a better website. There’s also a fascinating overview of the many innovative ways in which the Archdiocese of Boston has reached out to the greater community through every form of media imaginable – podcasting, radio, Internet, television, Facebook, Twitter…the list goes on. This book would appeal to readers on all points of the technology-using spectrum, from seasoned bloggers looking for new resources to folks who just opened a Facebook account and aren’t sure what to do next. It should be required reading for parish priests who want to engage their parishioners beyond just weekend Mass and to take advantage of truly building up the Church. And because 100% of the royalties from the book will be used to establish school computer labs throughout the Archdiocese of Mombasa, Kenya, you’re making a difference the moment you choose to buy a copy – or three. You can purchase this book here. I wrote this review of The Church and the New Media for the free Catholic Book review program, created by Aquinas and More Catholic Goods, your source forBaptism Gifts and Catholic DVDs. Tiber River is the first Catholic book review site, started in 2000 to help you make informed decisions about Catholic book purchases. I receive free product samples as compensation for writing reviews for Tiber River. Online videos are popular right now. Did you see the Darth Vader Christmas carol or the one about the adults eating their kids’ Halloween candy? How about the Silent Monks Hallelujah Chorus or the elderly couple playing the piano? According to Media Post, 184 million people watched more than 42 billion videos in October. Online videos can reach millions, so as evangelizing Catholics we need to be in this medium. There is an upward trend of online videos that deliver a powerful message. Did you see the one about what the nativity would be like if social networking was around at the time of our Lord’s birth? Very clever. Or did you see the short film about the good one man can achieve with just change for a dollar? I bet you could name ten more that you’ve watched and forwarded along for others to enjoy. So why can’t a Catechesis video have the same effect? I believe it can and it starts with your students. What about assigning a video competition for your class (most computers come with a free copy of Windows Movie Maker or iMovie). Pick a theme about the Eucharist, their favorite saint or a moral dilemma. Not only can they get excited about this medium, but you know they will post it on facebook and show it to their group of friends. They would be evangelizing without even knowing it! I would like to share a stop-motion video that I put together for my Catechesis class. This video was homemade with my nieces and nephews as the actors. The assignment was to read C.S. Lewis’s Screwtape Letters and then rewrite one of the letters in a creative way. I chose to highlight some of the themes from Book 7 about distraction. In an age where kids chat with their friends on facebook, watch their favorite shows on Hulu, play games instantly on their smart phones (and all at one time!) we miss God’s quiet whisper. This is an important message for today, but especially in this time of waiting for Christ’s birth. It is my hope that this video will make people aware of how the devil can so subtly distract us from our path to God. I also hope that those who are multi-media users (me included) will learn how to use media in moderation and for the greater glory of God.